An interview with Chinese billionaire Zhang Baoquan. A top article in the real estate section at iFeng today. 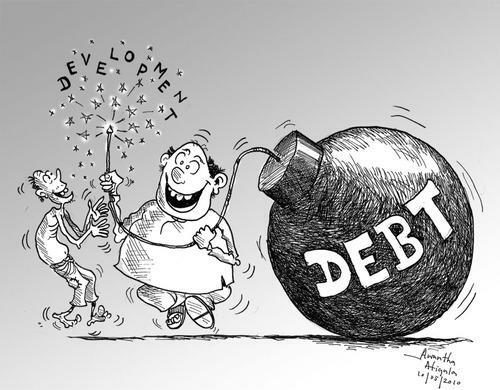 “Why do local governments dare to bear so many debts, why Chinese financial institutions dare to lend money to locals, but also because of real estate.” Zhang Baoquan said the close relationship between the real estate bubble and local debt, and believed that the real estate bubble has one stone and two birds. effect. Phoenix Network Real Estate: Before and after 2008, the first 10 years after the housing reform, then what do you feel when you look back? Zhang Baoquan: Actually, I considered this issue in 2007. I personally think that from the perspective of China's real estate data in 2009, it should be the turning point of China's real estate, but I feel that there is no turning. What was the chance of becoming an inflection point? First, the private housing rate in China has reached 120% in 2009. A large part of this 120% is the housing reform housing. After the change, it entered the market. That is to say, the average household has reached 120%, while the private housing rate in the world is less than 60%. Phoenix Real Estate: Not only is it self-occupied, but Chinese people also love to buy a house. Zhang Baoquan: China lacks investment tools, so people treat real estate as a hard currency of their own importance. Therefore, I feel that if I turn around in 2008, I believe that the development of China's real estate can become very benign. The reason for not turning around is twofold: at that time, real estate was an important engine for our economic development. It drove many industries and had a great impact on the GDP of each city. Most importantly, it has become an important source of local fiscal revenue. A very important reference indicator for predicting the future repayment ability of a local government is land sales data, which is also the main source of fiscal revenue. Phoenix Network Real Estate: But people still have expectations for the future growth of the house, and a habit has been formed. Zhang Baoquan: In the past 10 years, we have been safeguarding the interests of the industry. Today, I personally think that any economy does not exist in isolation, and any industry is not isolated. The real estate industry, especially our chamber of commerce, should look at China as a whole from a macroeconomic perspective. Economic structure and composition. The Chinese people have the lowest debt ratio in the world more than a decade ago. What is the current situation? The Chinese people are one of the highest personal debt groups in the world because the money is all in the house. Phoenix Real Estate: What are the risks? Zhang Baoquan: I think China now has two “time bombs”, one is a real estate bubble and there is a bomb local debt. I think China needs to consider how to prevent the real estate bubble from bursting. This should be one of our strategic priorities. If we are still pushing ourselves up, we can not cure the bubble if it is not limited, once there is a bad possibility. It will burst quickly. Just like the grievances of the Yellow River, it keeps raising and raising, and once it is gathered, it will quickly flood the underside. Therefore, today's two land mines in China, I think have to be prevented, any mine explosion may make the results of reform and opening up for so many years may be seriously damaged, and even have to retreat many years ago.